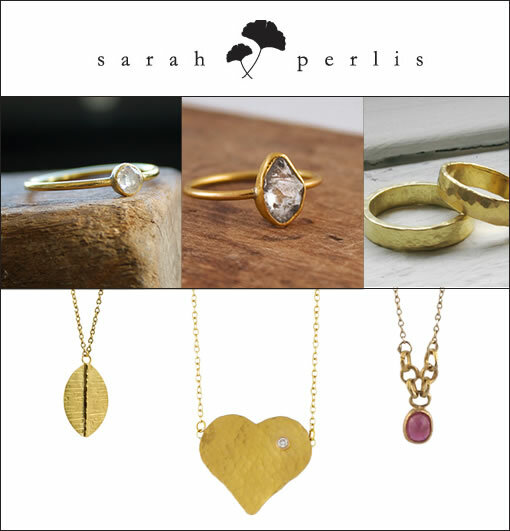 Playing with notions of art through nature is what Sarah Perlis does best. Her handmade jewelry is created in her downtown New York City studio. Her newest collection, "In the Rough," incorporates 22k recycled gold and alluvial responsibly mined diamonds, which are panned,not mined, from Sierra Leone. The chicks not only love her whimsical look and feel but her socially responsible attitude. We can imagine one of her stunning rings as your wear-it-forever engagement / wedding ring. This is definite a hint hint post to all the guys out there.